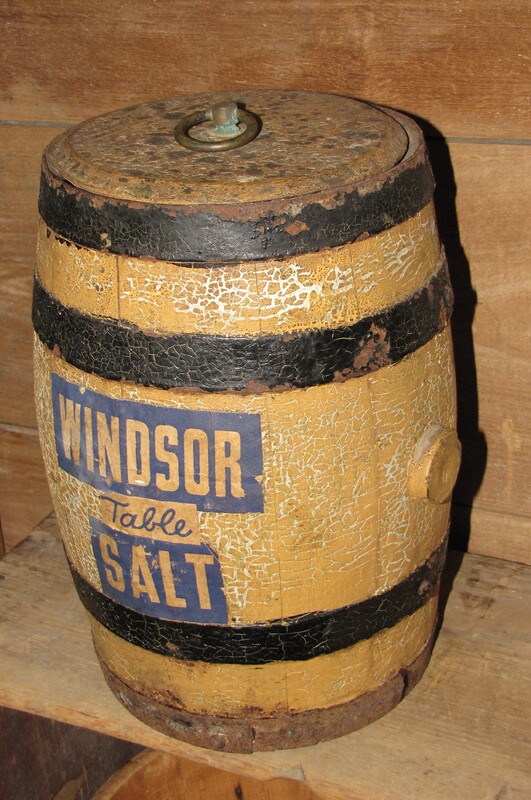 A small keg that has been adapted to be a salt container. 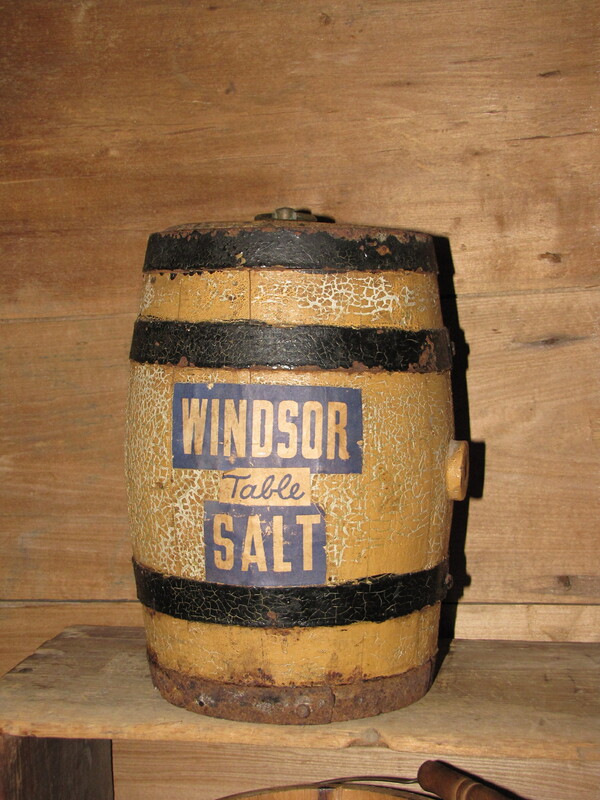 Specifically, a Windsor Table Salt container. 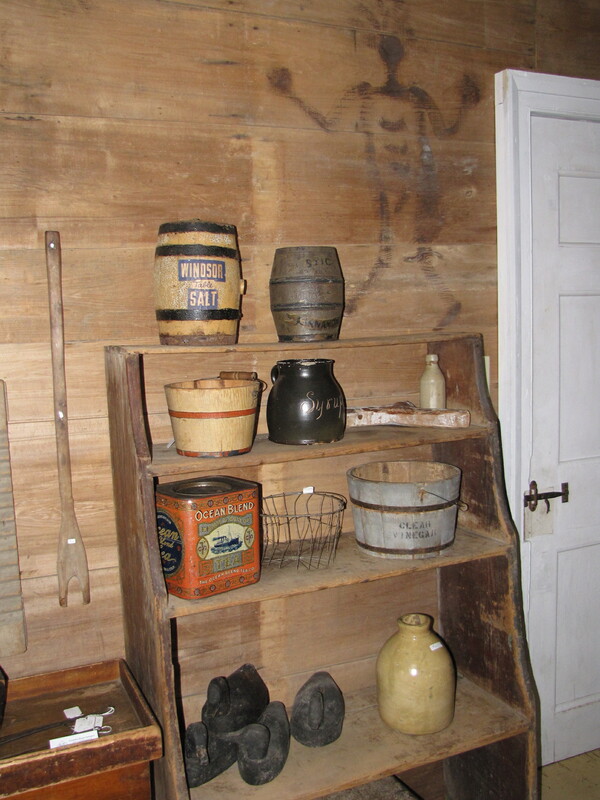 The old yellow paint is great and this crosses the collecting lines of folk art and nostalgia. Overall height is 10 1/4". A fun thing to have in your kitchen and can actually be used.